Shop By Vehicle My Account ?Need Help? No attributes to narrow your search. 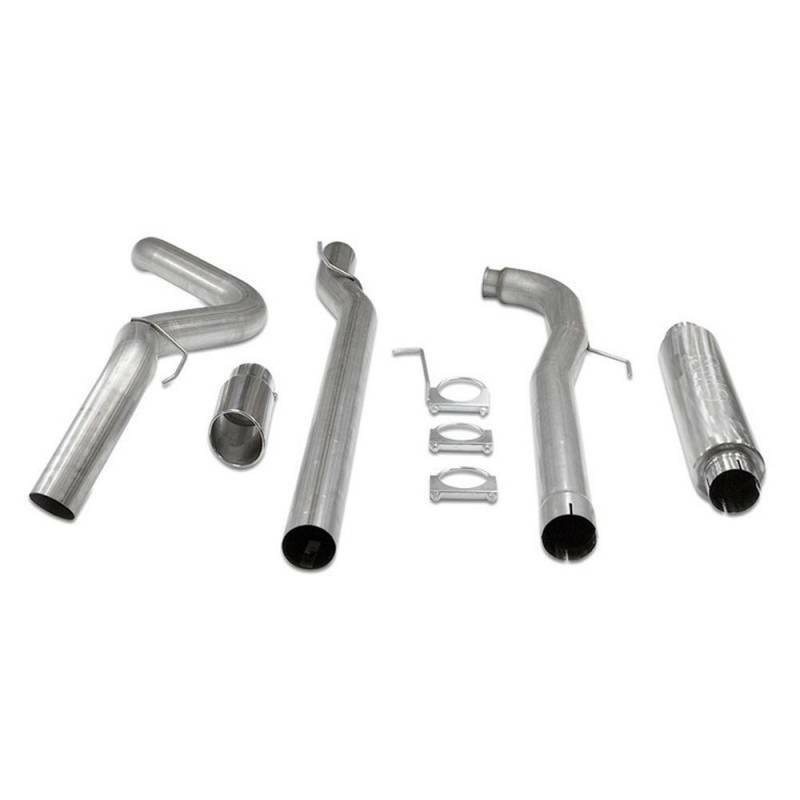 JAMO Performance 4" stainless steel downpipe back single exhaust system deletes the CAT, DPF, & DEF systems on 2011-2015 6.6L GM Duramax LML applications. This system is constructed from mandrel bent 4" 409 stainless steel tubing for maximum flow, increased horsepower, increased torque and lower EGT's. This muffler delete system is for those who prefer a true race-inspired sound and maximum flow. By deleting the CAT and DPF this exhaust system will provide performance gains of up to +14 HP & +25 lb-ft Torque. 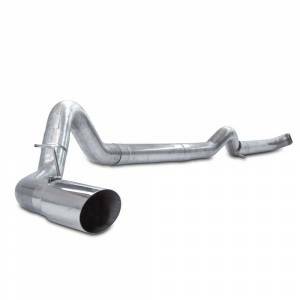 Made from high qualty T-409 Stainless Steel, the exhaust is mandrel bent for maximum flow. The kit also includes a stylish polished T-304 Stainless Steel Tip that will also enhance the overall sound. Designed using Factory Mounts & Hangers so installation is as easy as possible and requires no cutting. The optional free-flowing 30" long muffler is used to absorb high pitch tones producing a powerful sound and unleashing all available horsepower and torque out of your rig. With a free-flow design, the strategically placed louvers provide sound deadening control for a more pleasant in-cab ride. WARNING! THIS PRODUCT IS FOR COMPETITION USE ONLY. ALL OTHER USES ARE CONTRARY TO FEDERAL LAW. IF YOU INTEND THIS PRODUCT FOR HIGHWAY OR NON-COMPETITION OFF-ROAD PURPOSES DO NOT PURCHASE OR INSTALL THIS PRODUCT. READ FULL OFF-ROAD WAIVER. Do I Need To Delete the DPF? Copyright © 2019 Dales Super Store. All Rights Reserved.